The danger of living right across the street from a Kroger goes beyond midnight snacks. The market actually has a really extensive beauty aisle with makeup must-haves and hair essentials. It makes my weekly shopping easy (and tempting), since I can get everything in one place. The Kroger beauty aisle has nearly all of my favorite brands, including Suave®, to help me create whatever look I’m currently obsessing over. 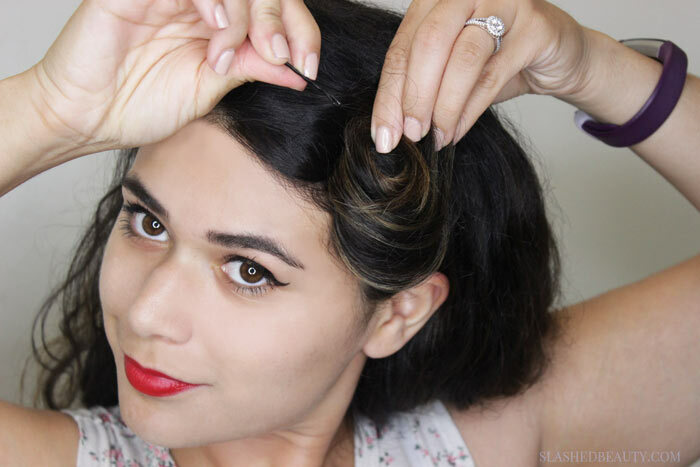 Recently I’ve been loving this twist on a classic American pin-up hairstyle, which is a bit more toned down and wearable for modern-day life. Keep reading for the step-by-step tutorial to recreate this style! Since a classic pin-up style is all about volume, we’ve gotta use the right products to get us there. 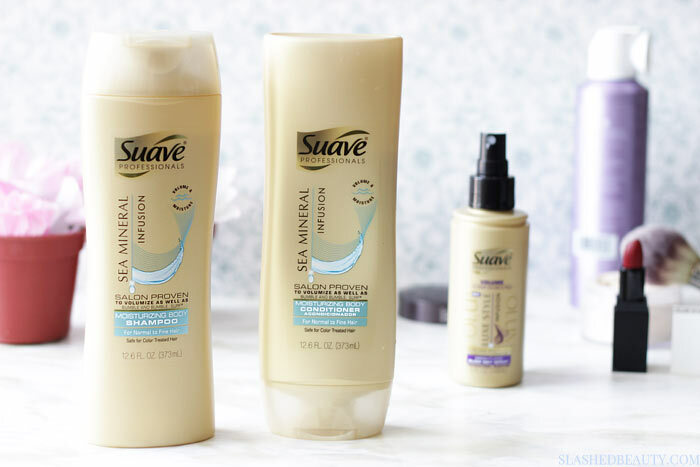 You already know that one of my go-to shampoo and conditioner duos for easy styling is the Suave® Sea Mineral Infusion Shampoo and Conditioner. It gives my hair a boost of body and texture to make it more manageable without sacrificing moisture. 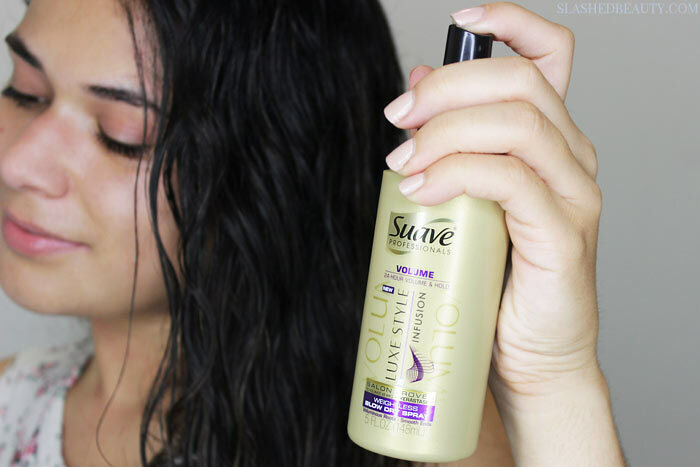 After combing through tangles with a detangling brush, spray the Suave® Luxe Blow Dry Spray. This weightless product will add even more volume while we style, and give us hold to our look while simultaneously smoothing the ends. Time to dry our hair! Use a round brush and a blow dryer with a concentrator attachment, which will help give us some classic waves to the ends of our hair. 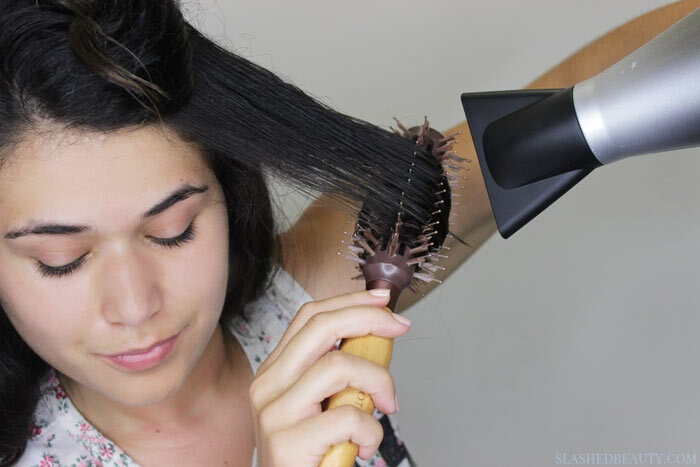 Try angling the blow dryer down the shaft of the hair to reduce frizz and blow moisture off your hair. 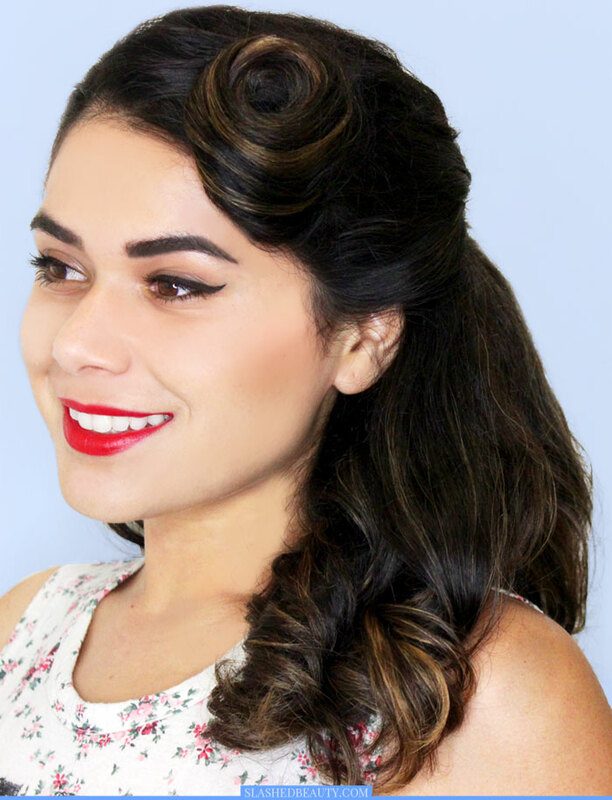 One of the most classic pin-up hairstyles is the pin curl, which is going to be the highlight of our style. Create a side part, and start the curl by rolling a 2” section of hair at the front of your face around two fingers. Pinch the hair and keep rolling up to the to the root. 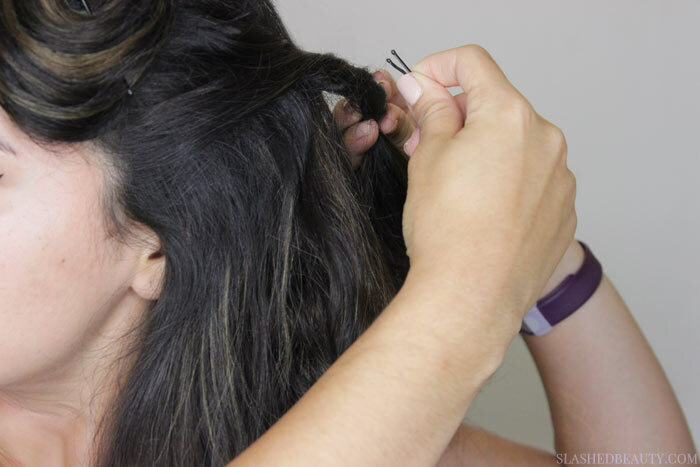 Flatten the curl against your head and pin into place. Next, take your hair on either side of your head and twist toward your head. Pin into place at the back of your head. This hairstyle is a nod to classic American beauty, but less costume-y so you can wear it out and about for modern-day events. The best part is that all of the products you need from Suave® are under $7 at your local Kroger. They’re always having awesome deals on beauty, as well, so be sure to check for coupons before you shop! Find your closest Kroger store here. 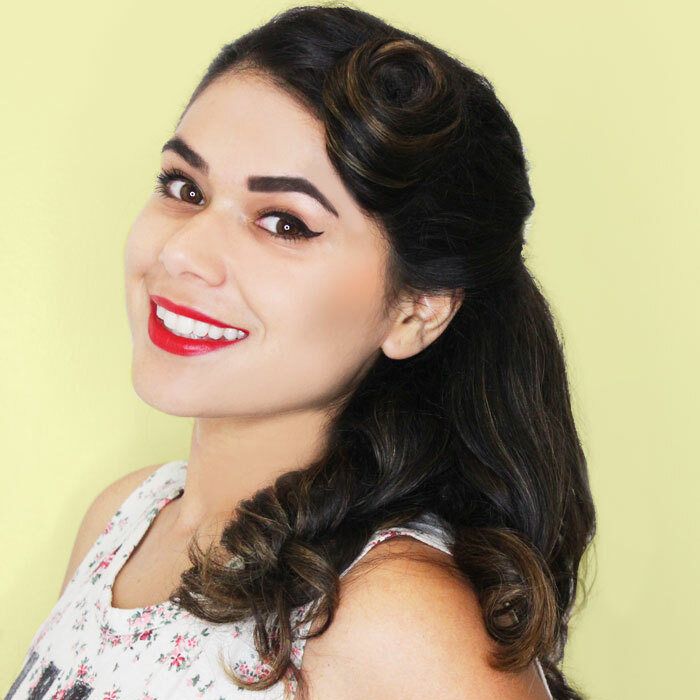 What’s your favorite classic American hairstyle? Your hair looks adorable like that. This would be a glamorous Halloween look. Love the whole look–so retro! That is absolutely adorable, Miranda! You rock the pin up look! This ‘do reminds me of the famous 1940s style. Love it!